It’s been a little bit of a stretch since the last Gazzetta. Summer is nearly gone and Autumn seems anxious to make an entrance. Performing, composing, and recording projects have been and continue to be so densely-scheduled as to help distract me from the bizarre political events of the year. But I’m afraid, as a side effect, that I’ve neglected my quarterly task of chatting you up about my activities and developments. 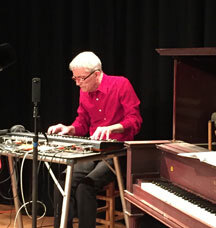 Since the last issue, I’ve premiered the full version of my performance work Memory Trace at Yerba Buena Center, I've given a solo voice & electronics recital as part of the “Hydra” concert at Harvard University, I’ve presented an abbreviated ROOM Series season ("RoomKeys" – a celebration of musicians who play black & white keyboards and "Still Burning" – a reprise of the viola-themed evening – this time without incident) and capped it off with "Z Program 60," a performance celebration of a milestone birthday. 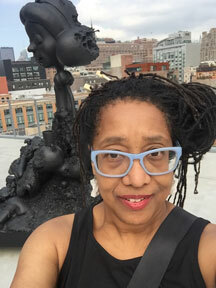 I also traveled to New York City to be a part of Elastic City’s final season of conceptual art walks, and attended a wonderfully fruitful Creative Capital artists’ retreat at EMPAC in Troy, NY. I still have plenty of activity to carry me through November and beyond – onward into 2017. As I write, I’m in the midst of preparing to perform a suite of short interactive works for voice, electronics, and video as part of the final evening of this year’s installment of the SoundWave Festival, which has Architecture and Sound as its theme. 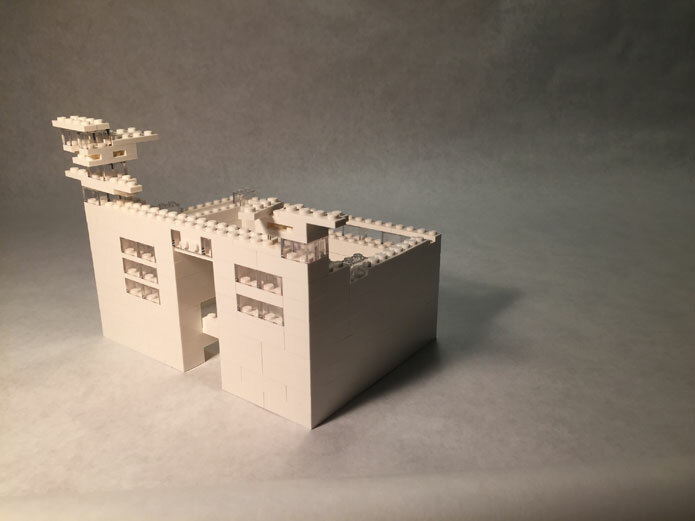 I'm whipping up a little work using video footage from film & video artists Paul Lundahl and Ian Winters along with video I've shot of miniature construction and blueprints. And I’m simultaneously learning Dorian Wallace’s music for my role in a John Sanborn opera/installation that I’ll be recording next week in New York. 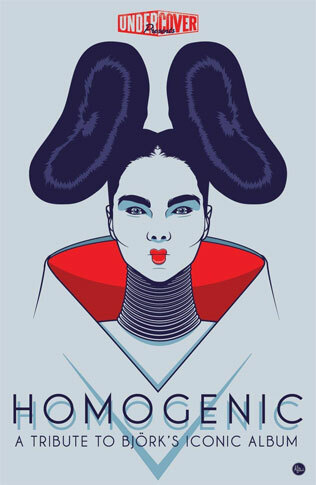 All the while, I’m composing a new commissioned work for Del Sol String Quartet, which will premiere in November at San Francisco’s Exploratorium and, immediately following that, I’ll be performing my arrangement of Björk’s Jogá as part of a “Homogenic” tribute evening produced by UnderCover. In December I’ll be doing a duo performance evening with Swedish composer/performer Annë Paiounèn at Center for New Music. And, like the crazy person that I am, I’m attempting to schedule some recording sessions in between all these activities to finally get a new release in the can. If you’d like specifics about all my upcoming live public events, jump to the details section below. Meanwhile, as always, I’ve made it a point to squeeze in some mighty fab art-viewing experiences along the way. 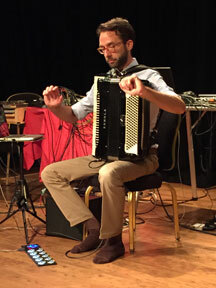 This year’s Switchboard Music Festival (at Brava Theater in San Francisco) was a blast with its eight hours of new music performances. Hightlights for me included the piano duo ZOFO, Aram Shelton’s Tonal Masher, and the San Francisco Girls Chorus performing works by Philip Glass and Lisa Bielawa. I visited MASS MoCA for the first time, and I’m now smitten with that museum! There was a compelling exhibition called “Explode Everyday: An Inquiry into the Phenomenon of Wonder” that included poetic, thought-provoking works by the likes of Jen Bervin, Tristan Duke, and Nina Katchadourian. 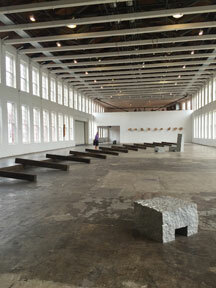 The museum has a beautiful “Tonal Walkway” by Julian Swartz and vast galleries–such as the one housing Richard Nonas’ Man in the Empty Space–that rival the scale and magnitude of the DIA Beacon’s spaces. 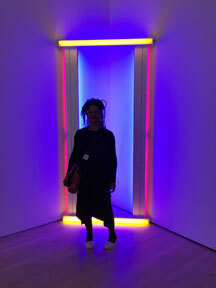 The Members’ Opening of SFMOMA’s newly renovated and expanded facility was also quite impressive. I was a little saddened to see the grand Botta staircase replaced with an almost IKEA-like structure that pales in comparison (even if it does provide a more airy, open lobby space,) and I was struck by how much more progress the museum’s curators need to make with regard to gender balance in the artists they show. But still I was delighted by the sheer volume of extraordinary works on view throughout the museum's seven floors, including some of my favorites — Jim Campbell, William Kentridge, Louise Bourgeois, Gehrhard Richter, on and on, as well as lots of newer works on the upper floors. 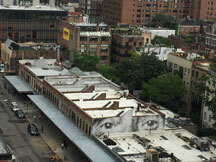 And I finally made it to the the Whitney Museum’s new location in New York. During my somewhat rushed visit, I glimpsed many startling works, including the giant Julian Schnabel candle with the wick set in the back of his head–slowly melting his colossal form over the course of the exhibition. The sculpture gardens with their stunning Meatpacking District views brought to mind the panoramic San Francisco vistas now visible from the new SFMOMA upper decks. 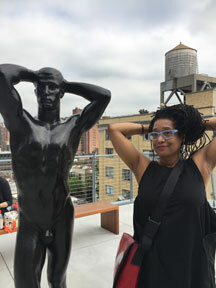 When I exited the Whitney, I was able to immediately ascend to the Highline for a quick stroll – studded with more views and charming public art surpises. 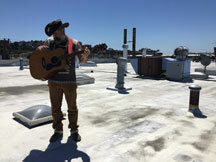 I met through his live film collaborations with Sam Green) when he popped by during a recent San Francisco visit. I also had a brief visit with sculptor Erik Otto and Satelite Of.Love Gallery curator Tracey Wheeler when they stopped by to deliver a beautiful piece I recently purchased. And, my studio was recently filled with SFEMF organizers as I hosted the latest planning meeting for our upcoming San Francisco Electronic Music Festival. 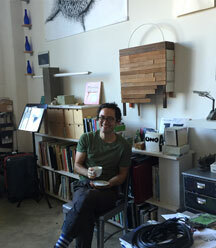 And, just a few days ago, I had the pleasure of a brief visit with my neighbor from Project Artaud across the way – robotics artist Kal Spelletich. It always inspires me and fuels my own art-making to have the lingering presence of admired arts community colleagues gracing my space. Now that I've taken a moment to dash off this little note to you and bring you up to speed on my end of things, I must be off. So much to do! Until the next time, I hope to see you at some of the following events! They use the same hairdresser perhaps? 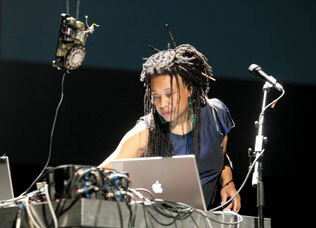 Pamela Z will explore structure, spatiality, and layers in This Impossible Building, a suite of short movements for voice, processing, multi-channel sound, and interactive video (including some VR and timelapse footage from filmmaker Paul Lundahl and video artist Ian Winters), Using vocal performance, live sampling and layering, gesture control, and images of (impossible and possible) spaces, she will draft, build, demolish, and renovate a series of miniature sonic and visual worlds. 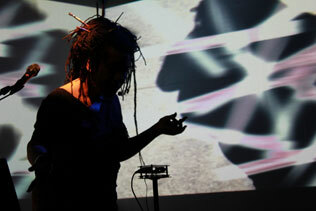 Pamela Z will give a solo concert of works for voice and electronics at Constellation at 8:30pm in Chicago, IL USA. 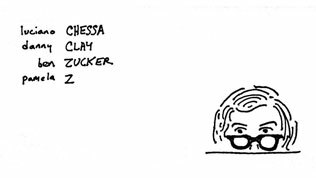 Luciano Chessa, Ben Zucker, Pamela Z, and Danny Clay, will simultaneously narrate the four sections of John Cage’s epic text, Empty Words. In this condensed version of "Empty Words" by John Cage (1912-1992) – normally a 10-hour work for solo reader, the four 2.5 hour sections will be read simultaneously by four different readers. Starting at 3pm, we'll be done by dinner time. ‘Quiet Time’ is a recurring afternoon concert series on the second Sunday of every month that focuses on works of long duration. at Center for New Music at 3pm in San Francisco, CA USA. 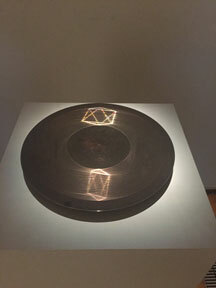 Composed for String Quartet, tape, voices, video, and electronic devices, Attention explores the ways in which attention and focus are challenged in today’s culture. Ms. Z will perform the 2nd track of Björk’s Homogenic album in an evening of live arrangements of the 10 tracks on that iconic album. 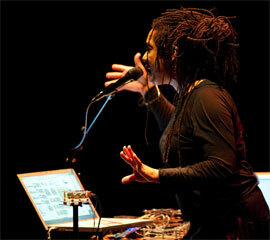 The evening will feature a broad range of bands and solo artists including Bells Atlas, Redwood Tango Ensemble, Jazz Mafia, and Zena Carlota – each performing one track from Homogenic..
Pamela Z performs a set of works from her solo voice & electronics repertoire as the centerpiece of U of M’s School of Music, Theater, and Dance’s Resonance concert. 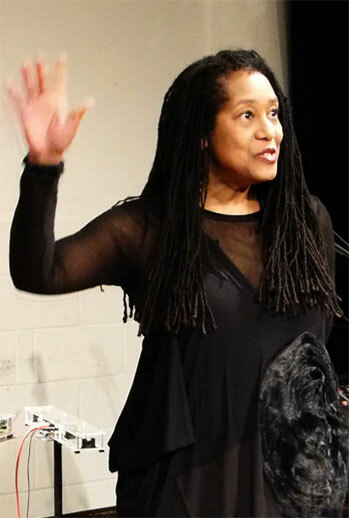 The evening will open with student works, continue with Pamela Z's solo set, and close with an ensemble piece with Pamela Z and the students. 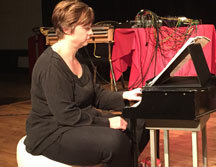 Pamela Z will be joined by Swedish composer/performer Annë Paiounèn in an evening of solos and duets for voices, electronics, video, and objects at Center for New Music in San Francisco, CA USA.